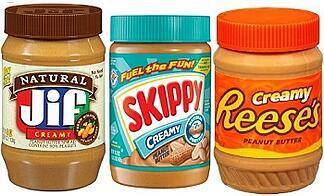 If you buy the wrong brand of peanut butter, you can always buy another brand when you finish the jar. The wrong trio of underwear, you might be out $14.99, but buy the wrong computer software or hardware solution for your business and you have a major problem. Brands matter in the B2B world, sometimes more than B2C. A strong brand means the perception of reduced risk and makes doing business — whatever the business — easier. As with B2C, buyers of B2B products value vendors' reputation because it makes the purchase decision safer. In fact, a Forbes survey found that B-to-B purchasing decision-makers consider the brand as a central rather than a marginal element of a supplier’s value proposition. Their survey found that decision-makers say the brand is almost as important as the efforts of sales teams in encouraging them to make out a purchase order. In my own experience, which is largely in the B2B tech space, the perception of "brand value" in B2B lags behind the Forbes survey result. When the soul of a company is engineering-driven and R&D- focused, it is often challenging for leadership to walk in the shoes of their customer. Their enthusiasm and comfort-level for their products and features is so focused that they miss the fact that in our constantly informed, highly commoditized marketplace, in which every vendor claims the same capabilities, their brand can be the one tool, which can truly set them apart. "Brands that deliver beyond the functional and economic levels with emotional benefits will command an incremental price premium and create strong competitive advantage and customer brand loyalty," Professor Sawhney summarizes. B2B sellers tend to talk in terms of product features, performance, and ROI. B2B buyers may be looking for all that, but at heart they're also looking for trust, confidence, ease, security and to be associated with a leader. I can't think of a technology B2B company that has understood this better than salesforce.com. Salesforce.com started with a seemingly simplistic brand vision, "No Software." Rather than focusing on its myriad features, they leveraged "Emotion, " the 3rd tenet of Professor Sawhney's positioning platform. Recognizing that sales teams were incredibly frustrated with the complexity of using, maintaining and updating sales and marketing software, they built a brand around relieving that pain, and in the process, accelerated the revolution in business known as SAAS. And in the years since they've ascended to the pinnacle of B2B brands, they've never lost sight of the simplicity of the emotionally driven "No software" message and have built a formidable ecosystem of products and services to expand the vision. Have you leveraged the emotional drivers of your B2B brand? 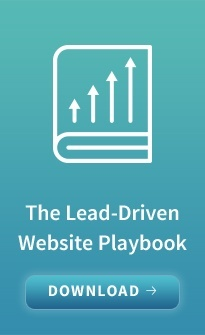 And once you have, see how your B2B brand can improve your website's performance.